Dermatitis herpetiformis, a.k.a. "the gluten rash," is an itchy, stinging skin condition associated with celiac disease. It may be the itchiest rash ever, and it's usually is diagnosed through a skin biopsy. Your dermatologist will tell you that lots of rashes look alike. What sets "the gluten rash" apart is deposits of a particular antibody in a particular pattern under your skin by the rash. You can't see immunoglobulin A with the naked eye. To identify these deposits, your dermatologist must remove a sample of skin, stain it with a dye and look at it under a microscope. If immunoglobulin A deposits are present and in the correct pattern, then the person will be diagnosed with dermatitis herpetiformis. Dermatologists usually use what's called a "punch biopsy" to remove the skin and test it for dermatitis herpetiformis. After injecting a local anesthetic, your dermatologist will use a tiny, cookie-cutter-like punch to remove a sample of skin that's about 4 millimeters (less than 1/4 of an inch) in diameter. The incision can be closed with one stitch and generally heals with very little scarring. It's important to have your dermatitis herpetiformis skin biopsy performed by someone who has diagnosed the skin condition before and knows how to do the biopsy. The skin sample must be taken from skin directly adjacent to the suspected dermatitis herpetiformis lesion, as opposed to directly from the lesion since inflammation in the lesion can destroy the IgA deposits. If your biopsy comes out positive and you're diagnosed with dermatitis herpetiformis, your dermatologist may prescribe dapsone for short-term relief from the itching. However, you'll need to follow the gluten-free diet to control your dermatitis herpetiformis long-term. Dermatitis Herpetiformis. American Osteopathic College of Dermatology. Can My Itchy Gluten Rash Go Into Remission? Can You Stop Dermatitis Herpetiformis Itching with a Gluten-Free Diet? 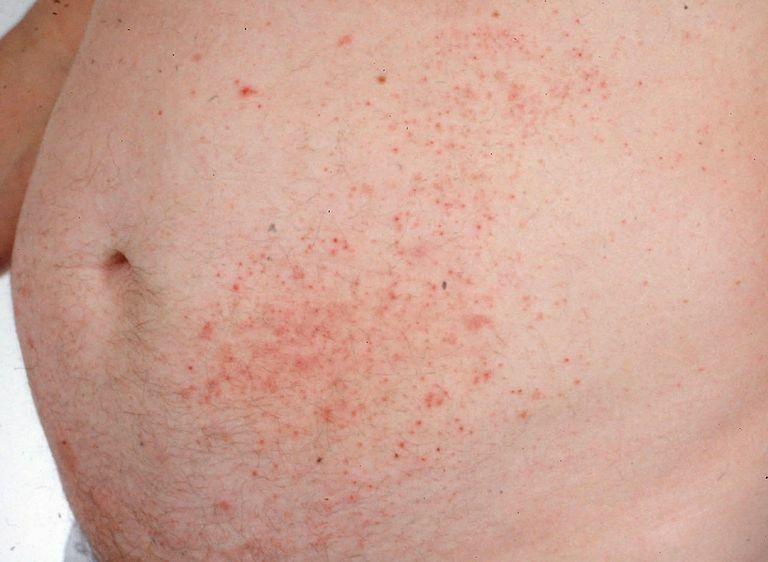 Can the Drug Dapsone Help Relieve Your Itchy Gluten Rash?